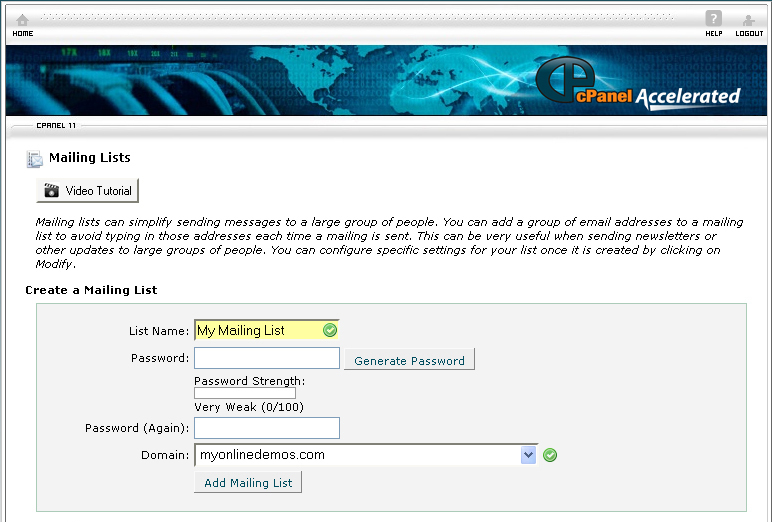 On the homepage of your Cpanel account, click Mailing List under Mail. Enter a name for the mailing list in the List Name text box. 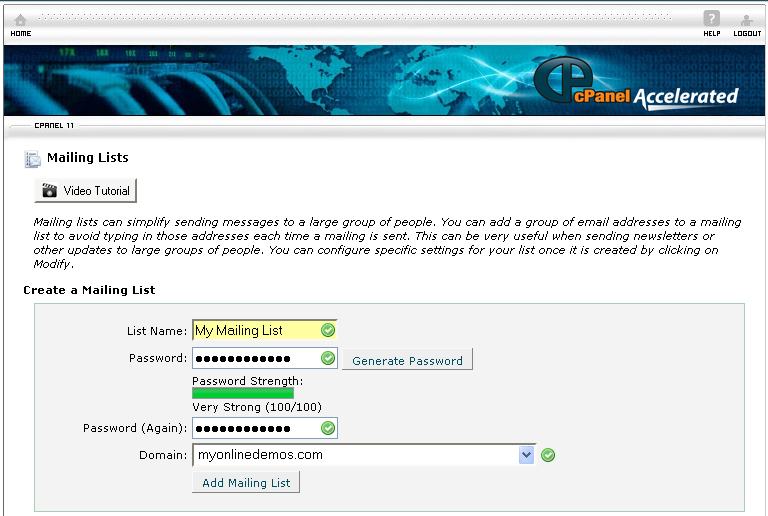 Enter the password for the mailing list in the Password text box. 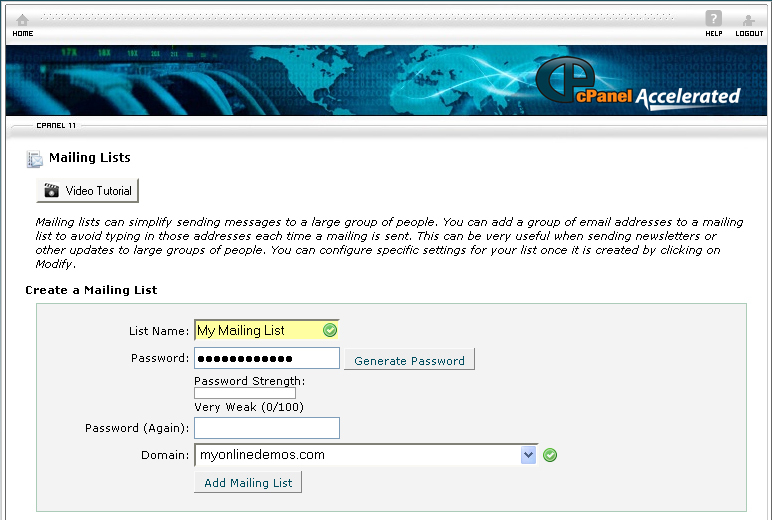 Enter the password again for the mailing list in the Password (Again) text box. Click the Add Mailing List button. You have successfully created a mailing list.